We previously reported that Baltimore City had a previous complaint about an error by a camera at 1300 West Cold Spring Lane that was discussed by city officials and their contractor Xerox Corp (formerly ACS State and Local Solutions) in February and March of 2012 -- the local press and city officials have since confirmed the existence of such errors. 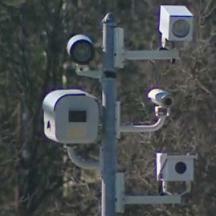 Now, additional documents have been provided to StopBigBrotherMD.org which document that problems by this camera were ongoing, and were known to officials in Baltimore City Officials in July of 2012. The following email was obtained through a Public Information Act Request by a reader of StopBigBrotherMD.org and was then provided to us. We have redacted the names of city employees and the company making the complaint, but the company is a different one than those which we have reported on previously or which have been named in major press reports. The emails document a complain received from a Virginia-based trucking company on July 13 regarding a citation they received dated 6/28/2012 of West Cold Spring Lane, claiming their truck had been traveling 70mph in a 35mph school zone. "I have a concern about the speed of 70MPH our truck was clocked at in a 35mph zone. I would like to confirm that radar unit is working properly and the speed is accurate. Our truck speed is set at 65mph on the ECM." Many trucks have ECMs (Engine Control Modules) programmed to act as speed limiters, so that the vehicle cannot exceed the programmed speed. In a follow up email, the company points out that the tractor trailer was in the right lane preparing to make a turn. "We have a real issue with our driver if he was in fact going that fast", alluding to the possible consequences to a professional driver accused of traveling at twice the posted speed limit. On July 13, city engineers forwarded the complaint to employees at Xerox Corp: Ryan Nicolas and Donovan Wilson. "Ryan and Donovan, Please see email below and copy of citation attached, this is a concern and we need to resolve this issue before it gets out of hand. We have already supplied the information of several citations with similar issue of erroneous high speed being recorded at Coldspring and Grand View which is very difficult at this location, please have system checked out and update." As of July 24, the matter was still not resolved. The company wrote "Due date is 7-25... yikes!! That's tomorrow. Do we get an extension on paying this?" The city responded, copying ACS "We have completed our investigation and will get back to you soon with the results. Thank you for your patience." However the investigation is still ongoing as of December. The Baltimore Sun has reported there are indications the errors may not be limited to trucks, and may have affected passenger cars as well. StopBigBrotherMD.org also received some complaints from car owners who received citations at this location, reported to us prior to any published reports about these events. The Sun also reports that city officials have admitted "We now know we can't just rely on radar being 100 percent accurate," "It is incumbent upon us as the operator to make sure what's being issued is accurate." The city has stated that they would now institute a "reasonableness test" on citations. However at the most recent speed camera task force meeting Xerox manager Ryan Nicolas said the new "reasonableness" test doesn't "vary greatly" from the oversight already performed by the contractor, according to the Sun. A representative of AAA Mid Atlantic, which has a seat on the city's speed camera advisory committee, questioned why the camera was still running: "We appreciate the fact there have been additional steps put in place," she said. "But even those additional steps aren't explaining to me why people are erroneously being cited. So, absent knowing why that is, why not shut it down until we get to the bottom of what the errors are and then put it back in place?" StopBigBrotherMD.org sent city officials a list of questions last week about the investigation, which included pointed questions about the nature of the investigation and what specifically they were looking at, but also including some basic questions such as the type of camera at this location. The city replied "Unfortunately, we are still waiting to receive complete information from our vendor, Xerox, on what exactly is going on at the cameras at Coldspring and Greenspring, and with whom – which is why we are not able to answer your questions at this time. Xerox is conducting a thorough audit of all citations issued at these cameras, and reviewing operations at every camera in the city. They are also adding extra oversight for violations at the cameras at issue to confirm no more citations are issued there in error moving forward. However, insofar as the nature of the error, when exactly the error caused misreadings, and which citations we will void in response, we just don’t know yet."... "I appreciate and sympathize with your frustrations and those of your readers." Meanwhile, according to the Baltimore Sun, Xerox officials have been referring questions to the city. Baltimore City recently selected a new contractor, Brekford Corp, to take over Xerox Corp's speed camera contract with the city, a change that will take effect at the beginning of 2013.